The craving for alcohol is a strong impulse which almost goes out of control. It makes you hard to resist. Sometimes, people who are not alcoholism also have cravings for alcohol when they experience stress. This is the first step leading to alcoholism. Such cravings make you feel helpless and weak, sometimes harming your sense of peace and joy. However, there are effective ways to reduce cravings such as getting specialist help, coping with cravings, using effective treatments, and distracting yourself. The tips in the article below will give you more details on these. But first, find out information about alcoholism. Alcoholism is a complex disease that involves the consumption of alcohol for a long time. If alcoholics stop drinking abruptly, they will experience uncomfortable symptoms. The psychological and physical health of alcoholics is always dependent on alcohol. As a result, they continue to drink alcohol despite the physical and psychological harm they suffer. 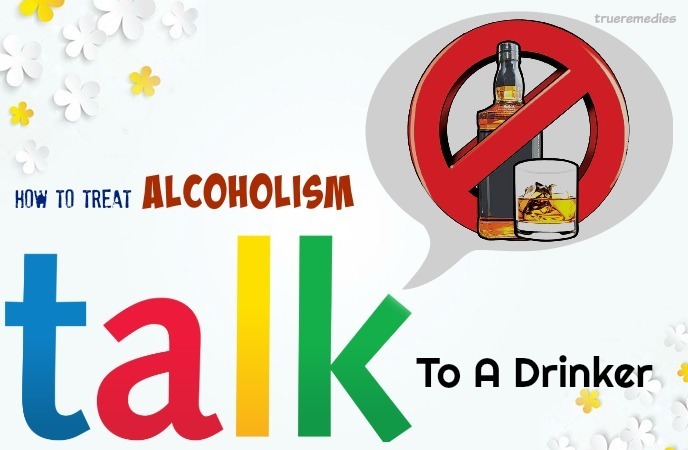 Alcoholism is a chronic disease that is not only dangerous for alcoholics but also for those around them. Alcoholics are more addictive, typically nicotine addiction in cigarettes. Alcoholism can stems from a variety of factors. After a long time of inappropriate use of alcohol, your brain will start to depend on alcohol to produce some certain chemicals. As a result, you feel it hard to quit alcohol drinking and may have withdrawal symptoms. Psychological factors like stress, depression, anxiety, or other mental health issues. Biological factors: actually, there is a connection between alcoholism and factors related to biology, especially physiology and genetics. Some people could take control of their alcohol intake while others may feel a strong impulse to drinking alcohol. Also, there are some chemicals in the human brain that may make you much more prone to alcoholism. It is shown that there are about 51 genes associated with alcohol dependence and these genes could be passed down through generations. What Are Common Symptoms Of Alcoholism? The behavioral symptoms include the feeling of being unable to stop drinking alcohol, the absent mind. You can also often hurt yourself or others. Usually, you will not remember what happened while drinking. 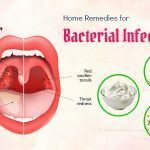 These symptoms may be related to long-term injuries, including nausea, stomach pain, diarrhea, vomiting, sweating, increased heart rate, fainting, and jaundice. Generally, the mental symptoms of alcohol abuse include depression, anxiety, drowsiness, and disorientation. What Are The Methods Used To Diagnose Alcoholism? Doctors routinely diagnose the disease based on a patient’s medical history to learn about the behavior that causes the patient’s work, social and psychological problems. Blood tests can also tell if alcohol affects the blood, kidneys, liver and health. Doctors can also rely on blood tests to see if alcohol affects your blood, kidneys, liver and health. Who Is At High Risk Of Alcoholism? Today, alcoholism is becoming more common. The reason is that the pressure on work and life is increasing. Anyone can get addicted to alcohol, especially those who have no control over their behavior. Drinking at an early age: People drink alcohol early may have a higher risk of alcohol abuse. Family history with alcoholism: If you grow up in a family that has members suffering from alcoholism, you will be more likely to have this issue. Peer pressure: When a close friend or partner regularly drinks, you will be more provoked to imitate them. Drink alcohol frequently over a long time: This is when drinking becomes a pattern. The more you drink alcohol, the more your own body builds a tolerance to this liquid. Tolerance means that you have to take more alcohol in order to feel the same feelings that you used to feel with less alcohol. If you find that alcohol is overwhelming your life, you can go to the doctor to determine your condition. In addition, if you have difficulty in the treatment of alcoholism, you can visit the doctor for detailed advice. The above is the basic information about alcoholism. Now is the time to find out tips on how to treat alcoholism naturally without rehab. 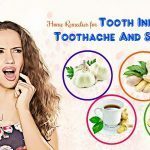 Feel free to take a look at TrueRemedies.com! 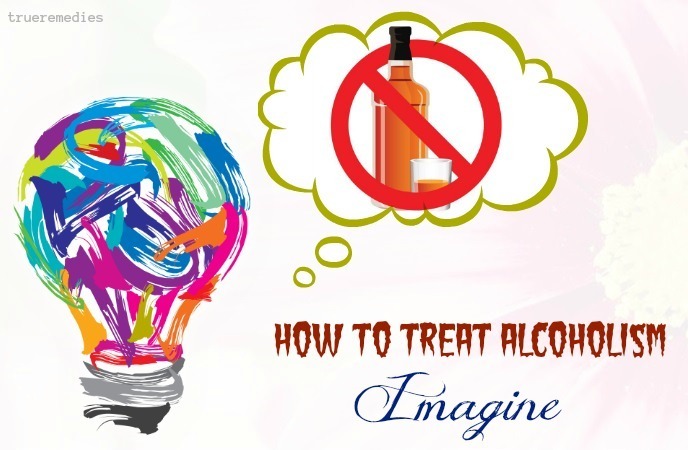 This is the first home remedy in this list of tips on how to treat alcoholism and depression. Drinking can be a daily habit if you always store them in your home. When your wine cellar is always filled with alcohol to satisfy your cravings, your alcoholism will never improve. Therefore, do not store alcohol in your home if you really want to treat alcoholism and get back to life as beautiful as before. The use of some herbs and derivatives for alcoholism has been part of the Indian, Chinese, and Native American medical practices. 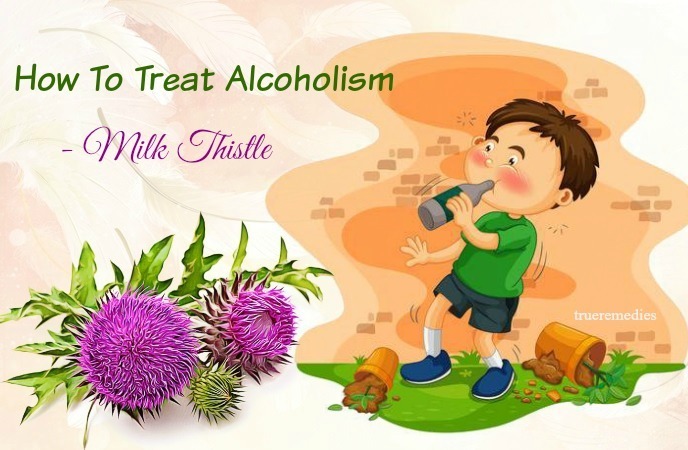 Among great herbs for alcohol abuse, milk thistle brings surprisingly good results. This herbal remedy might not be a surefire cure for alcoholic liver disease, but it might alleviate the severity of the condition. Also known as Silybum marianum, milk thistle has been sued for thousands of years for the treatment of liver issues. It has silymarin, a chemical having anti-inflammatory and antioxidant properties which could be beneficial for the human liver. It is claimed that this substance can protect the liver from harmful toxins and assist this organ from damaged which has already happened. Indeed, milk thistle is a potent liver regenerator as well as supporter for detoxification . Some studies have shown that milk thistle can improve the function of livers, lower the amount of bad cholesterol (LDL) and increase good cholesterol (HDL) levels in the human body, manage blood glucose levels in diabetics, decrease the risk of some cancers, and help with some gall bladder problems. The best way to take advantage of milk thistle for alcohol abuse relief is taking its capsule form. Note: In spite of being safe in general, there are also some potential side effects of taking milk thistle, such as nausea, diarrhea, bloating, and allergic reactions. This herb might also interact with other medications. Pregnant and breastfeeding women should also avoid using milk thistle. Kava is a tropical shrub that is recreationally used for the anesthetic, sedative and relaxing effects. 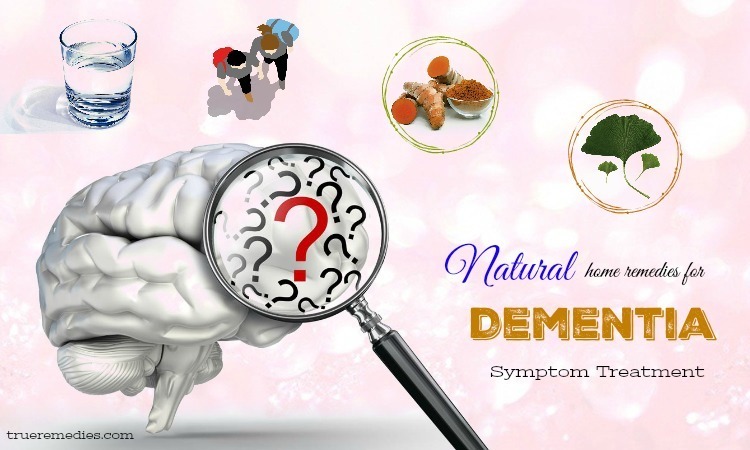 This herb acts as a nervous system depressant, so it helps people who suffer from mild to moderate symptoms of alcohol withdrawal, particularly insomnia and anxiety . Scientists have shown that kava induces the relaxation along with a sense of well-being via many subtle mechanisms. It stimulates GABA receptors, boosts norepinephrine and dopamine levels, and enhances the cannabinoid receptor. Actually, kava is rather unique in terms of chemical composition. It can be a wonderful natural alternative for GABA-enhancing drugs. Therefore, you can use kava for your alcohol withdrawal to help lessen anxiety, fatigue, depression, muscle soreness and restlessness. Bitter gourd, aka bitter melon, is bitter. This natural antidote can support the process of eradicating toxins from the human body. 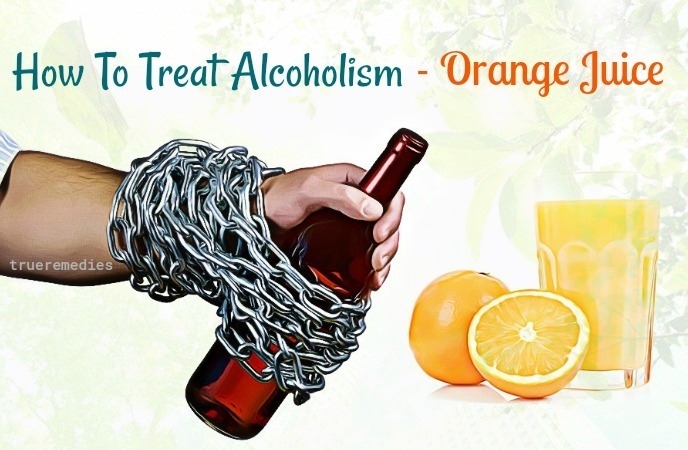 It is among great tips on how to treat alcoholism owing to its natural detoxifying effects. In fact, alcoholism induces many toxins in the body that toxins steadily convert into health issues. 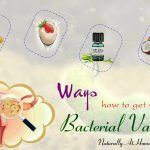 These harmful substances will invade your body and make a permanent site inside before playing games with your immune system as well as other parts in the body . Because alcohol weakens your digestive system up, bitter gourd comes up as a natural solution in this case. Its juice has ultimate detoxifying property that helps heal liver damage because of alcohol over-intake. You can drink bitter gourd juice directly or add it to your buttermilk to get better taste. Dandelion can relieve side effects of taking too much alcohol in a short period of time. It is a good solution for those looking for tips on how to treat alcoholism symptoms. Dandelion has health-enhancing, immunity-boosting and disease-treating property. It is used widely to handle alcohol withdrawal symptoms. On the other hand, it also rejuvenates liver tissues and improves bile production while boosting its flow. These effects are essential for those who are trying to recover from alcohol abuse . You can take advantage of dandelion capsules to harness its benefits or drink the tea made from dandelion root’s powder. Take this tea twice or thrice per day for several months to see good results. You can think of electro-acupuncture when looking for ways on how to treat alcoholism fast. Stemming from China, acupuncture has been used since 1970’s thanks to its ability to take control of alcohol withdrawal symptoms. It is a form of ancient medication in China . Chinese believe that alcoholism along with many other health issues are a consequence of imbalance of elements within the human body and this imbalance could be handled with acupuncture. It also helps you relieve stress as well as anxiety associated with alcohol withdrawal. To do this method, you had better consult a professional. Instead of reach for alcohol, you can drink orange juice. Make it a strict rule to drink orange regardless of your cravings for alcohol. This will help improve your immune system, strengthen your bones and treat your taste buds. Apples, oranges and grapes are helpful for you in the course of quitting alcohol. These fruits do not have cholesterol and low in sodium, fat and calories. 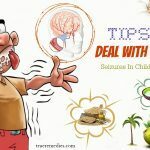 Since they are not similar to alcohol which has a lot of adverse effects on your health, you should take advantage of them for alcoholism treatment. Most people associate alcohol with a type of activity, feeling or time of day. In some people, thirst can also cause cravings to increase. So, your own thoughts can be triggers. Negative feelings like stress and anxiety can also stimulate your cravings. Meetings or bars are also often associated with drinking behavior. Perhaps you will find it hard to resist the urge to go to those places and see the people around you drink. That’s the reason you should avoid such places, at least when the cravings go up. You may think that you are not tempted by wine, but you should not challenge yourself, at least initially. This does not mean that you should avoid meeting friends or having fun. Our advice is that you should only go to places that do not mention alcohol. 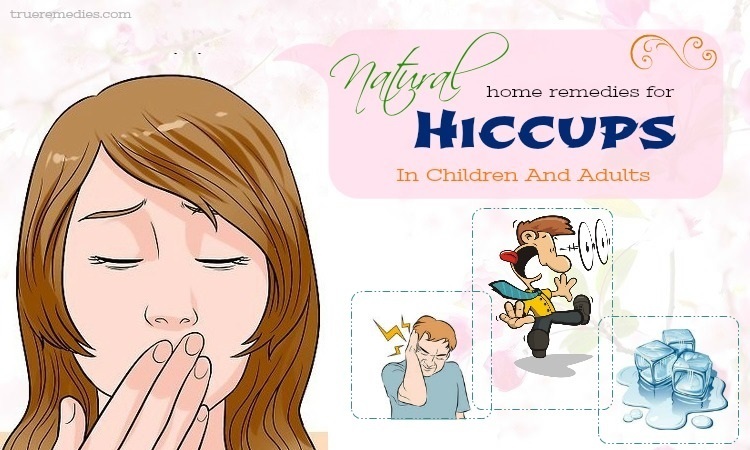 This remedy is one of little – known tips on how to treat alcoholism and depression. Memories of the past can also contribute to cravings. When the moments of drinking with friends show up in your mind, you should stop and try to focus on bad experiences with alcohol. Think about the times when you feel bad about alcohol, or remember the times you made a big mistake because you were drunk. Focus on your feelings in those situations and tell yourself that you do not want that feeling back. If you do not want to revisit unhappy memories, you can try focusing on the future. Try to visualize the vivid spectacle of great things that will come to you in the future and think about how alcohol can hinder those hopes and dreams. The next tip on how to treat alcoholism and depression is getting support from people you trust. Social support is an integral part of the fight against cravings. Have you ever been on a diet? Most people will tell you that dieting with family members or friends will be much easier than dieting alone, because every time you crave a piece of chocolate cake, you can ask someone to help you through the cravings. Coping with other cravings is similar, including alcohol. The first step you should take on the way to overcome cravings is to choose one or more people you love and trust. Share your experiences with them and tell them not to judge you, because judgments will only push you to cravings instead of improving the situation. Next, tell them that you need their support whenever they feel the cravings are coming. They can take you out, or simply make a phone call to chat with you or disperse your thoughts. This type of support will be very helpful to you in dealing with cravings. If you are not ready to talk to your friends or family about your problem, you can contact your local support team. Spiritual and religious factors can also assist you in reducing cravings. People at the alcohol rehab have a lot of experience dealing with similar problems. You can try this tip because more support is never superfluous. The feeling of support is a very important factor when you are trying to overcome any difficulties. So, spiritual support from a certain group or organization can energize you to fight the cravings. This sounds strange when it comes to tips on how to treat alcoholism and depression, but it works. Maybe you are used to drinking in certain activities or when you are with someone else. Gradually, your brain is accustomed to being stimulated whenever you are in the same situation, leading to a craving for alcohol when you have that activity. This is a dangerous addiction, and the best way to treat it is to change your daily routine. For example, if you like to drink a few glasses while reading a book, try changing a bit – you can read the book in the park or the library because you cannot bring alcohol to those places. You can also choose to make a cup of tea, fresh fruit juice or a non-alcoholic drink. So your brain still gets old habits because you still drink something. Gradually you will be able to replace alcohol with another drink. This is the next one in this list of tips on how to treat alcoholism and depression without rehab. You may need to deal with cravings for long periods of time. However, this will gradually become easier. So it is important to persevere and believe in yourself. Even though it may seem difficult to you sometimes, keep in mind that your strong will far exceeds your cravings, and that your life without alcohol will be richer and happier. Some strategies for dealing with cravings may be a little odd or difficult at first, but do not swipe away without trying at least one or two times. Perhaps the most ridiculous way can bring the best effect for you. Many people use alcohol to relax and relieve stress. Stress can increase cravings for alcohol. If you have a habit of drinking a few glasses of alcohol after a stressful day or after a fight with a friend, you may find it hard to stop the craving for such situations. 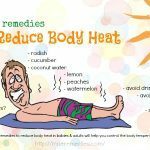 Relaxation methods work to calm you down. They are also ways to cope with alcoholism and substitute for alcohol use. When learning to calm down, you can reduce your cravings and become happier. Another benefit is that there are thousands of ways to relax, you can choose the most effective way for yourself. However, keep in mind that relaxation methods cannot help you stop the craving for alcohol. You need to persevere and keep practicing. No wonder, this is definitely one that should be mentioned in this list of tips on how to treat alcoholism without rehab. The brain can help you deal with cravings if used properly. Seeing or visualizing a scene that is so vivid will stay in the brain for much longer than just thinking or hearing. This explains why imagination is an effective source of support when you fight cravings. There are many ways to use imagination. Whether it initially seems silly or difficult to do, your brain will get used to it and the use of appropriate imagery will become easier over time. If you find yourself imagining or thinking about drinking, immediately imagine another scene. Just think that drinking a glass of wine at this time will increase the cravings for alcohol. When the cravings arise, you can do one thing: imagine a stop sign which is very big and clear. Focus on that image, and tell yourself that you will overcome the cravings. “Gliding through cravings” is a technique that has been tested and proven effective in controlling alcoholism. This method is based on attention, i.e. awareness of the present moment, including your feelings, thoughts, actions and surroundings. With the technique of “gliding through cravings,” you can learn to understand and endure your cravings. This technique has helped some people improve their problem and treat alcoholism. All you need to do are: choose a comfortable posture to get started. Focus on the craving for alcohol. Where does that feel in your body? Perhaps the first feeling you experience is tension in the muscles and headaches. Stress can stimulate cravings for you. Then you may feel cravings in your mouth, throat and chest. Pay attention to all the senses of the body and their change as you experience cravings. Pay attention to your thoughts on cravings. The next treatment in this list of tips on how to treat alcoholism naturally without rehab is writing as a form of self-treatment. You do not need to be a professional writer to discover the power of the words. Writing for yourself can be a very effective tool in coping with cravings. It is important to write when you feel good and happy, so you will remember those positive feelings when cravings arise. This method is very useful, because as mentioned above, writing something will make you believe in the subconscious that your writing is valuable. One way to do this is to take out the pen and write down all your accomplishments. You can write anything you like, especially achievements that make you proud or happy. It may be words like “My girlfriend is great, we understand each other better when I do not drink” or “The practice is great now! I can do 15 times bending the belly”. You can also write about what you want to do in the future – learn dance, advance in your career, or travel to somewhere. In short, anything that can motivate you and you know you will not be able to achieve it if you succumb to alcoholism. This method sounds weird, but very effective. When you start to crave something, the brain’s unconscious response is to think a lot about it. This explains why it is so effective to force yourself to think of another thing. When you focus on something else, you are misleading your brain. At that time, the thought of alcohol was pushed back to make way for new though to emerge. Of course, do not tell yourself “I want to drink but I will not think about it” – this is almost impossible. Trying not to think about something will make you think about it more. When you want to think about something other than alcohol, play games, watch football or sing. These things help to distract your thoughts very well. Applying different distraction methods is another must-try treatment in this list of tips on how to treat alcoholism and depression. Instead of focusing on your cravings, try talking to someone (you can call someone if you’re alone), or look around and try to describe every detail of the scene around you. Do not ignore any details about color, texture, shape or position of things. Try a grounding technique to distract yourself from mental pain. You can try to keep your hands cool or warm, or count and name the colors around you. There are hundreds of connection techniques that you can find online and try out today! Another option might be your games. Playing chess and playing board games or video games will help keep your mind busy. If you have a pet such as a dog, you can play with it, take it for a walk, or teach your dog a new role. Cleaning your home can also be a very effective way of deflecting, especially when you focus on cleaning the hardest corner of the house. This is the next treatment in this list of tips on how to treat alcoholism and depression. One of the most damaging things about alcohol is that it takes away all the hobbies and activities you love before you get addicted to alcohol. The fact is that alcohol will become your favorite source of entertainment when you are used to drinking a lot of alcohol for a long time. Therefore, alcohol withdrawal can cause serious problems: boredom. This makes you want to drink more. To get rid of this evil cycle, you should find activities that you enjoy. You can choose almost any activity, as long as you do not make you think of alcohol. For example, you can play sports, enroll in drawing classes, do craft, or learn a new language. Changing lifestyles with new activities is a great way to keep your depression down. You can also visit the neighborhood or get involved in cultural events. It is best that you schedule ahead of time for these activities. So, you will have something to look forward to and think of when the cravings arise. In addition, new activities will help you build confidence, and confidence will keep you away from alcohol as you will not need alcohol for fun. If you want to know how to treat alcoholism at home, you should have general knowledge about the options for medical treatment. Topiramate (naltrexone) and naltrexone (Vivitrol) work to treat alcohol dependence. Topiramate is effective in reducing cravings. New studies show that new drugs such as NK1 receptor antagonists (Neurokinin (NK1) receptor antagonists) and Baclofen may help reduce cravings. Always consult your doctor about medicines before taking them. You need to understand that there are legal and health risks related to the use of medicines not prescribed by your doctor. Sometimes alcohol abuse is related to past traumas. Persons experiencing traumatic stress (physical abuse, sexual abuse, witnessing violence, or having a life-threatening situation) have relieved their cravings after being treated for psychological trauma. Contact the hospital for a list of therapists in your area. You can find local social services or clinics for free or low cost. No wonder, this is definitely one that should be mentioned in this list of tips on how to treat alcoholism and depression. This tip will teach you how to help a friend or family member quit drinking. Once you have decided to talk to your partner about his / her drinking habits, practice exactly what you will say. Be brief, detailed, and non-critical. This will prevent him / her from evading. It’s also useful to have a trusted group of friends to help you talk to him / her. Be cautious so he / she does not feel offended. If you notice a friend or family member experiencing alcoholism symptoms, have a conversation with him / her. Tell her / him that you are worried. Explain that their behavior is affecting others and it is time to stop drinking for their own life and for the benefit of the family. Tell them about the problem that drinking is causing. Talk when they do not drink. Talking in the morning is usually the best. This is also a good time to confide when they are feeling nausea and irritability after being drunk. Tell the truth that they are harming their bodies by making it tired day after day. Be prepared to face their denial. Drinkers often deny that there is a problem with their drinking. They tend to deny the problem, or seriously consider it until they are ready. However, do not give up. This is the last one in this list of tips on how to treat alcoholism and depression. When you talk to a drinker about his or her drinking habits, do not start by accusing or criticizing. Avoid continual nagging about drinking, as this has the potential to make things worse. Controversy will make it difficult for them to share with you the cause of their drinking. Be cautious that this is likely to result in personal attacks or personal criticism. Alcoholics tend to advocate for their behavior and do not admit that drinking is harmful. Try to listen sincerely to the sharing of the alcoholic. Of course, speaking is easier than doing it. Therefore, try to empathize with the alcoholics and what they are experiencing. Do not force drinkers to stop drinking. Alcoholism is a complex situation. You need to understand that you cannot stop them from drinking. But you can offer and help them find help. However, this does not mean that you give them alcohol, or forgive their drinking. Talking to your doctor is another must-try way on how to treat naturally. If you are an alcoholic or cannot stop drinking in just one day, it is important to talk to your doctor when you plan to stop drinking. Alcohol withdrawal symptoms can cause seizures, permanent health damage (like liver disease), and even death. Therefore, consultation with a doctor is essential. Make an appointment with your primary health care provider. You can go to the hospital and ask for a visit by a specialist. You can also contact a social service organization that supports low-income local people, or look for a free or low-cost clinic in your area. Above are tips to help you treat alcoholism or help others treat this condition. 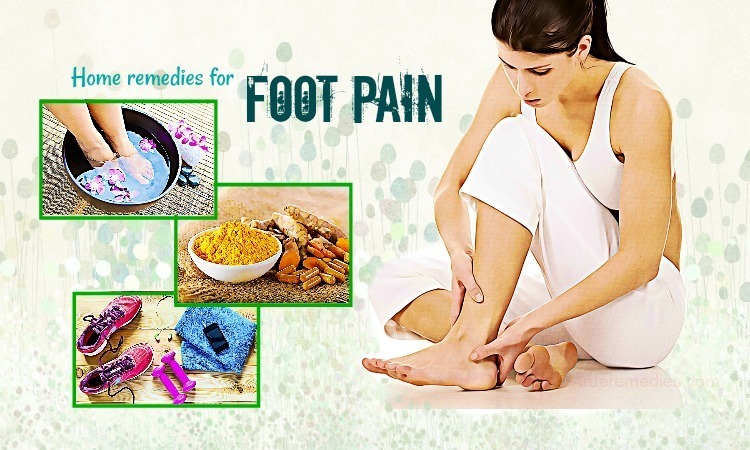 As you can see, they are very simple and safe, so apply them immediately to get results soon. 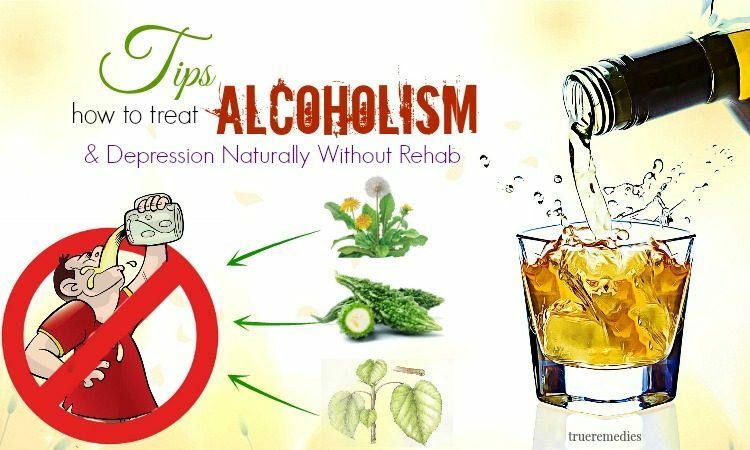 If you have any contributing ideas about our article of “Top 26 Tips On How To Treat Alcoholism And Depression Naturally Without Rehab” introduced in How To Category, do not hesitate to drop your words below this post. We will answer as soon as we could.